My media player enters the next level and becomes the TACTbox+. For the version of my daughter, it had to be a little more stylish – just teenies. How it looks and works now is described in this article. 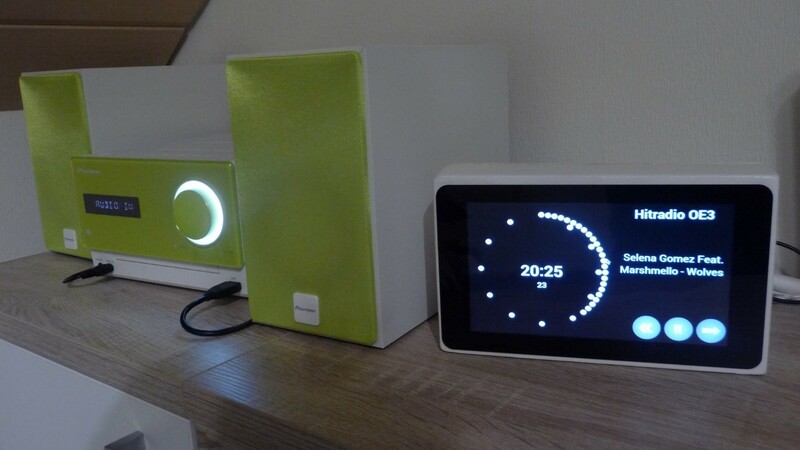 The last version was only a wooden box for the Raspberry Pi and the touch display and it was only connected via AUX-in to the stereo system. How my son and I made it was described in TACTbox – My media player. The version for my daughter had to be different, because she doesn’t even have a stereo system. As a basis, the Raspberry Pi 3 and the 7″ touch display have been preserved. I wanted to add a loudspeaker system from an existing 3-piece PC speaker set. The set was perfect, because it has a decent sound – but the look of the speakers does not quite match my daughter’s expectations of a cool design. So they were completely disassembled and everything was built into a common new wood case. 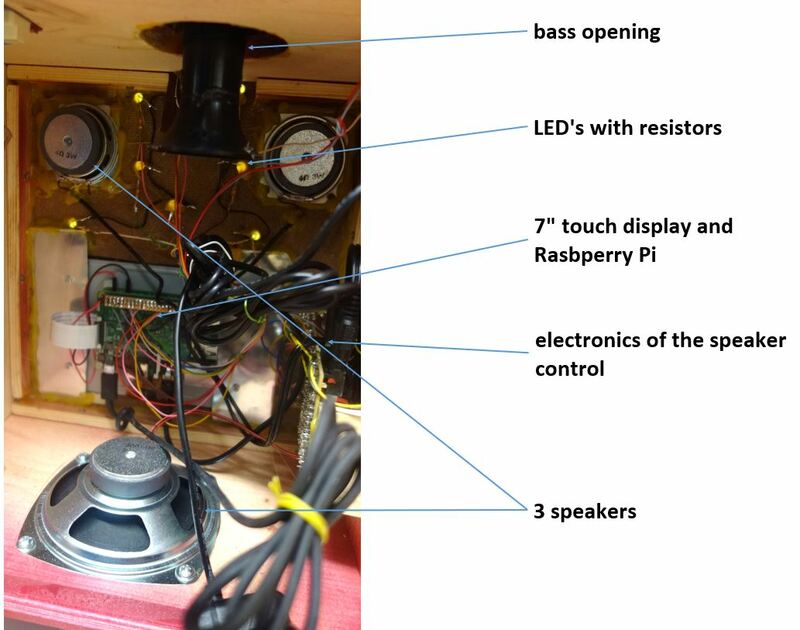 The interior consists essentially of the speakers with their electronics and the display with Raspberry Pi. So that the bass sounds better, it is mounted on the bottom plate (down) and the whole box is on feet. Somewhat more difficult was the volume control. 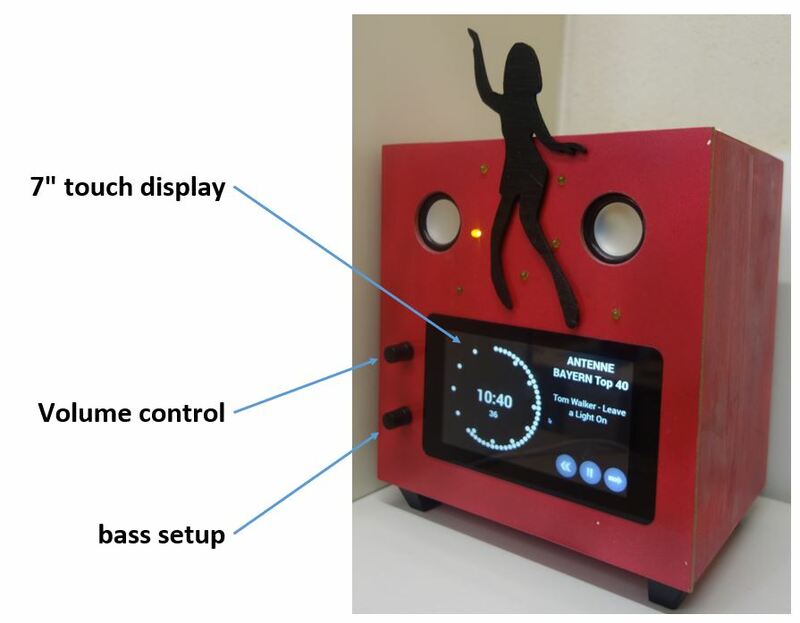 I wanted to continue to use the internal control of the old PC speakers, because there was also a setting for the bass included and my daughter liked it a lot. But unfortunately the gaps and knobs didn’t fit the new design at all. For this to work anyway, the two poti’s had to be soldered first. Only that way they could be positioned in the right place – next to the display. For the switching on and off of the entire system, I have not found a really good solution. Currently I have solved it so that there is a switch in the 230 V circuit, which turns everything on or off. There’s a shutdown menu for the Raspberry, but whether it’s ever used by my daughter is written in the stars. Let’s see how long the SD card and Raspbian join in! The biggest changes have inevitably resulted in the appearance of my daughter’s requirements. Everything was housed and painted in a common wooden housing. As a decorative element, my daughter has chosen the shade of a dancer. As a eye-catcher I used several LEDs on the front. There are 7 single-color LEDs, which can be controlled individually. At the top I have installed a 3-colored-LED. It is placed just behind the dancer and should illuminate it in disco optics with changing colors. What that looks like, you can see in this short video. In the dark, the whole system looks much better and the 3-colored-LED comes out right. For this I have used the code from the article Running lights and LED control with Lazarus (If you are interested in programming the Raspberry Pi with Lazarus you may find some helpful tips). With this code all types of animation are possible and the LEDs can also be switched off. If you’re interested you can download the current version and test it. 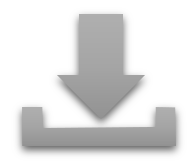 A download link with versions for Linux and Windows you’ll find at the end of this article. But you have to keep in mind that this is a development version. It’s not finished yet and probably never will be! Currently I am working on an option „search“ with input through and on-screen keyboard and an automatic update function, since there are now often new things for my kids. The corresponding calls and the form-design are already partially included in the source code. If you want to see how the mediaplayer works or you want to develop it yourself, you can download the source code for Lazarus. You can also find it under Links. And now I wish you a lot of fun testing. If you would like to integrate your MP3 collection, you must adapt the start path line in the config / tactbox.conf file. No changes will be made to your MP3 files! The TACTbox only works with the folder structure. But as you see the software is written in a mixture of English and German. So may you learn a little bit of German too!